Following a revised design and review by the FDNY, developer Extell has been granted permission to proceed with plans for the Snøhetta-designed tower at 50 West 66th Street, Gothamist reports. This comes a few months after the Department of Buildings threatened to pull the building’s permits over concerns that the project was misusing mechanical voids in order to boost the overall height of units in the building. 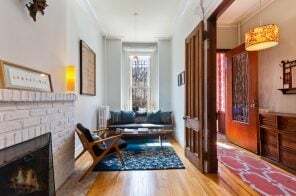 The DOB approved Extell’s revised plans last Thursday, allowing the project to go forward despite a 12-to-1 City Planning Commission vote yesterday to crack down on the mechanical void loophole. 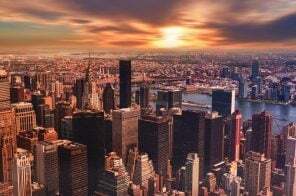 Less than two months after rejecting a challenge against the tallest tower planned for the Upper West Side, the Department of Buildings has decided to pull permits for Extell Development’s 775-foot tower at 50 West 66th Street, as NY1 first reported. 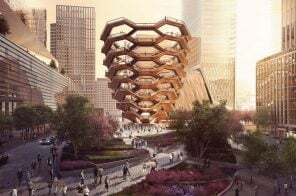 In December, opponents argued that the Snøhetta-designed structure was misusing structural voids—where a building’s mechanical equipment is stored—to add height without increasing square footage. They said the 160-foot mechanical spaces were designed not out of necessity, but presumably to boost the overall height of the apartments—and their price tags. 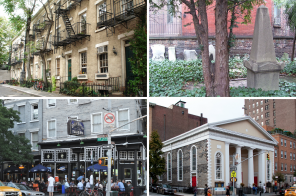 Now, the DOB has made a surprise reversal, ruling that these spaces do not meet the current standards of the New York City Zoning Resolution. 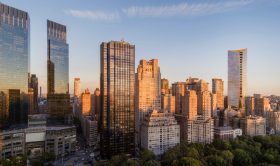 With the neighboring Jewish Guild for the Blind officially demolished, construction has now begun on Extell Development’s skyscraper at 50 West 66th Street. Designed by Snøhetta, the mixed-use skyscraper is set to rise 775 feet, making it the tallest building on the Upper West Side. 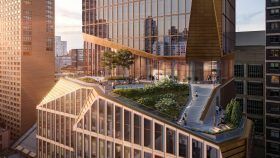 The 69-story tower will feature a facade of excavations, that are meant to evoke the “chiseled stone of Manhattan’s geologic legacy,” according to the architects. 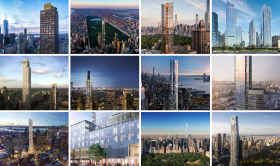 As CityRealty reported, the new tower will sit next to some of the borough’s most illustrious buildings, including 15 Central Park West and The Century. 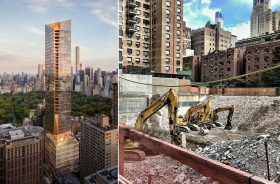 Despite some initial construction hiccups, plans for the 668-foot residential tower at 200 Amsterdam Avenue continue to move forward. 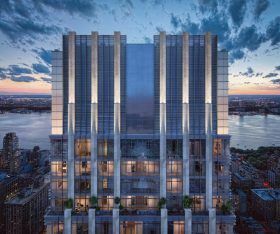 According to YIMBY, the tower’s developers, SJP Properties and Mitsui Fudosan, have unveiled new renderings of the Upper West Side building, including an up-close shot of its crown. Designed by Elkus Manfredi, the exteriors feature an aluminum curtainwall and metal panels. 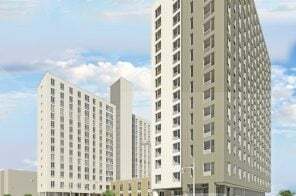 New York firm CetraRuddy will take on the interiors of the 112-unit condominium building. Of-the-moment firm Snøhetta has revealed their design for a 775-foot condominium tower at 50 West 66th Street, set to be the tallest on the Upper West Side (h/t Wallpaper) The Extell-developed building will feature 127 units and a series of “sculptural excavations” that the architects say are “evocative of the chiseled stone of Manhattan’s geologic legacy.” On the lower levels, the tower will be clad in textured limestone with bronze window frames; its narrower upper portion will have a glassy facade and chamfered corners that create a series of open-air loggias.